Amon Amarth are the new age’s Vikings but instead of action on high sea they take over the musical landscape with high-speed melodic death metal! A storm is rising when Amon Amarth visit us with their latest album “Jomsviking”. The Swedish death metal legends have been one of the leading European metal bands for more than 25 years. 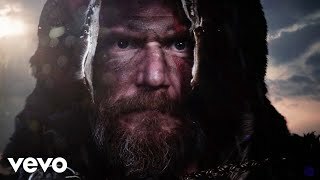 Amon Amarth’s own documentary & live album “The Pursuit Of Vikings: 25 Years In The Eye Of The Storm” is fresh off the press and is a stunning piece of work of an even more stunning band.